All EZ Shelf Products over 28″ include 1 Center Support. 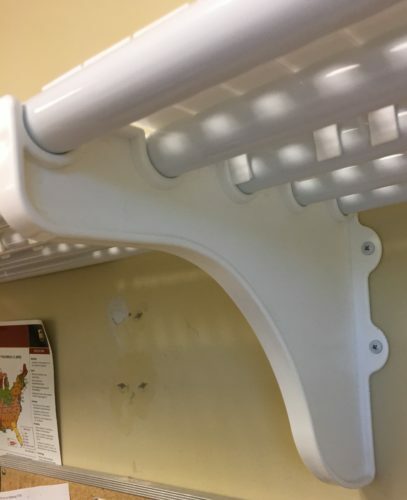 This product is for customers who intend on loading shelves with weights greater than 200 pounds, or for customers with weak walls who would like the extra support. This also includes no drill anchors and screws.